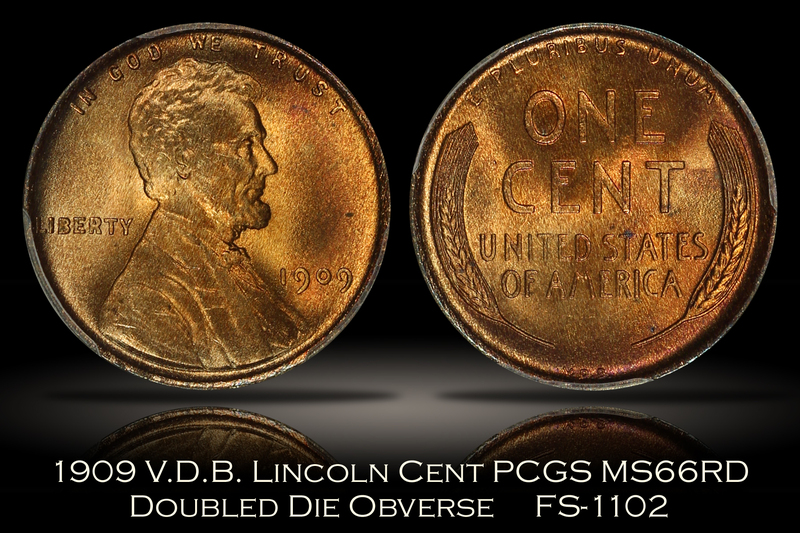 This example of the 1909 VDB Lincoln Cent Doubled Die Obverse FS-1102 (Die 2) has been graded MS66RD by PCGS and is encapsulated in one of the newer-style edge-view holders. 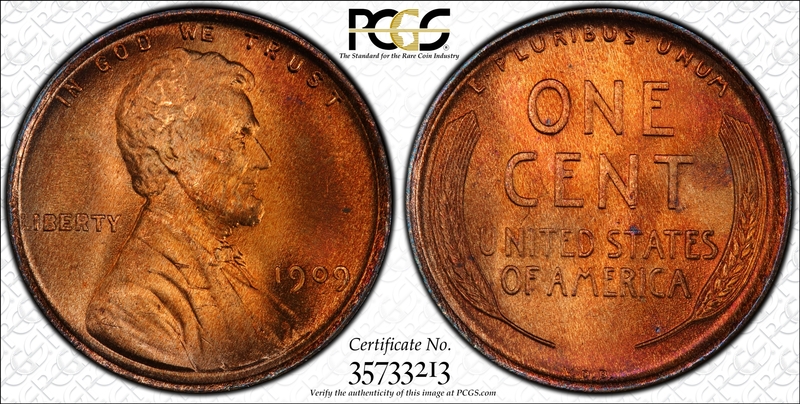 A TrueView photo was taken by PCGS which captures the beauty of this coin in the best light. The FS-1102 DDO variety has been attributed by PCGS on the label as well. 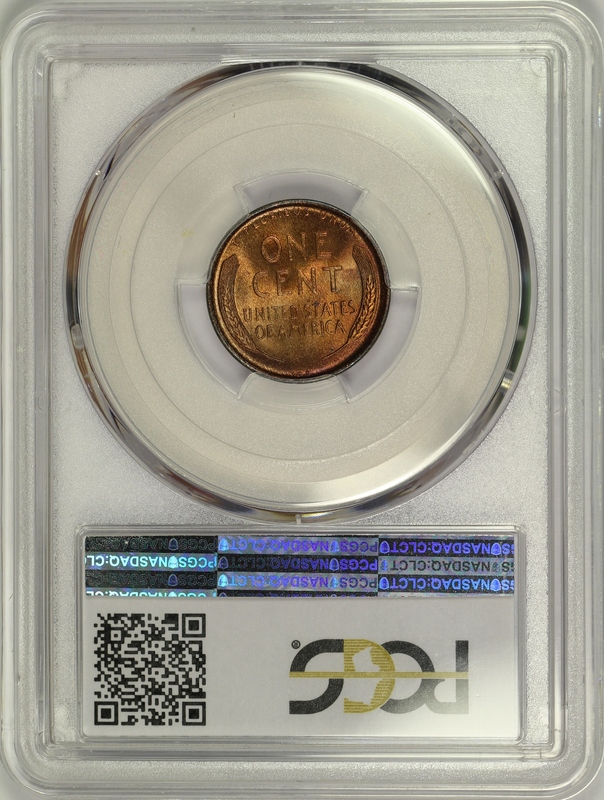 The coin is bright red with nice original luster and shows the doubled die obverse variety very well. The coin has strong eye appeal with a pleasing slightly woodgrain appearance in the surfaces. Just a couple minor spots can be found and are exaggerated in the close up photos somewhat as they are almost unnoticeable in hand. 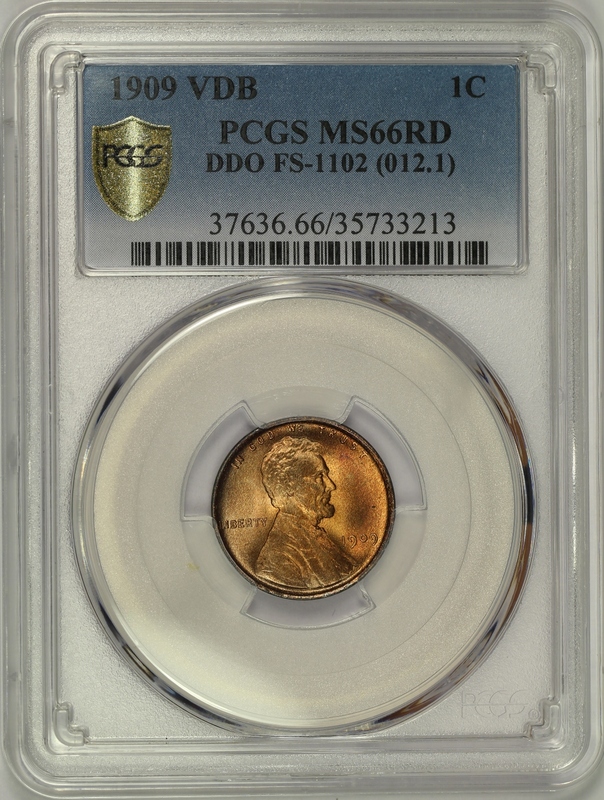 Only nineteen (19) examples of this variety have been certified at the MS66RD grade by PCGS with only seven (7) coins grading higher. 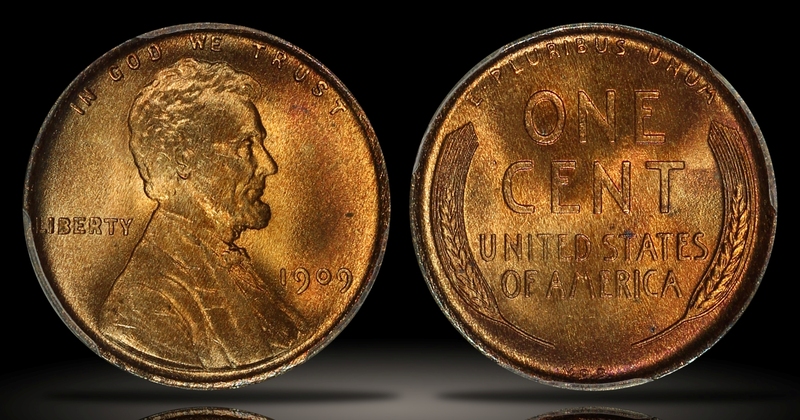 A beautiful high grade bright red example of this popular first-year Lincoln Cent variety.